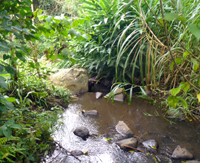 Within easy walking distance to stores, restaurants, banks in Nuevo Arenal, this 1/3 acre property yet has beautiful lake and volcano views from the comfortable large home with office and lovely gardens. Near Tronadora, this fertile small finca with a Tico home and updated apartment has a stream running the length of the property. The rapid growth of the varied vegetation, crops, and fruit trees will delight any gardener or farmer. On March 1, 2010, a new immigration law (Ley General de Migracion y Estranjeria) goes into effect, which, in the main, raises requirements for the types of residency. One of the avenues for residency has been the inversionista or investor category. The category has required investment in a business contributing to the economic or social development of the country (such as a tourism business). The new law states that there must be an investment of at least $200,000 in any Costa Rican business or a specified amount of investment in certain Costa Rican government-approved sectors. In an interview in the October 23 issue of the Tico Times, Director of Immigration Mario Zamora says that the purchase of a property or business for $200,000 also qualifies one to apply for residency (although it cannot be your personal residence). He says that this method of qualifying came in a memorandum issued on August 28, 2009, and is not a part of the new law but "...is a change that anticipates the spirit of the law in order to facilitate it." Whatever the thinking, the bottom line seems to be that if one can show registration of taxable value of at least $200,000, one can apply for residency. Residency frees one from requalifying a tourist visa every 90 days. 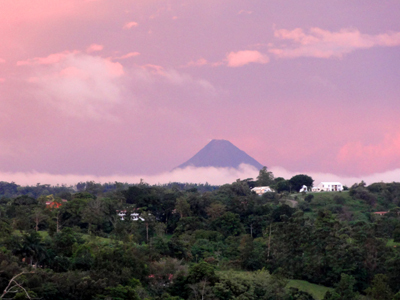 If you are considering moving to or investing in Costa Rica, you should look at Lake Arenal real estate. First, Lake Arenal is a beautiful, temperate, inexpensive, and secure environment in which to live. Second, there is a wide selection of properties and businesses for sale at prices far more reasonable than those of other areas. Also, there are no infrastructure crises at Lake Arenal, where, for instance, the consistent moderately warm weather requires no air conditioning. In the range of options are existing upscale homes for sale from under $200,000. There are "Tico" homes for sale sometimes for as little as $30,000. These may be lived in as is, upgraded, or rebuilt and expanded relatively inexpensively. You can move permanently to your Lake Arenal home or use it as a vacation home, perhaps renting it to others, as many do, when you are not here. There are condos or homes in gated communities. In contrast are homes of distant privacy located on several acres. There's a wide variety of acreage for sale, from a few to dozens or even hundreds of acres for those interested in investment or development or farming. And many large properties are farms or "fincas" with homes and other buildings already there. On the commercial side, entrepreneurs will find a selection of businesses for sale and there are many business opportunities in the Arenal region, including the business/tourism centers of Tilaran and Nueva Arenal. On a smaller scale, there are many lots for sale in different sizes, prices, and locations. Temperate, beautiful and secure Lake Arenal is a buyer's paradise, and we welcome your queries at environmentally conscious Arenal Lake Partners. Much aware of threats to this wonderful ecology, we can help you buy and build with awareness of the environmental regulations and the best practices for protecting the environment around your new Lake Arenal property. 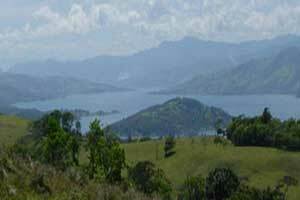 Investment opportunities abound in the Lake Arenal region. Properties in this area are far less than beach prices, and we have a large variety of properties available that could be developed or held onto for future resale, whether a lot, a home, or acreage in many different sizes, including very large properties for as little as 56 cents per square meter. There are also tourism and non-tourism businesses available. See our Commercial section. If you have made a list of properties by codes, easily return to these properties by referring to our Search by Code page. to see towns on a large map.